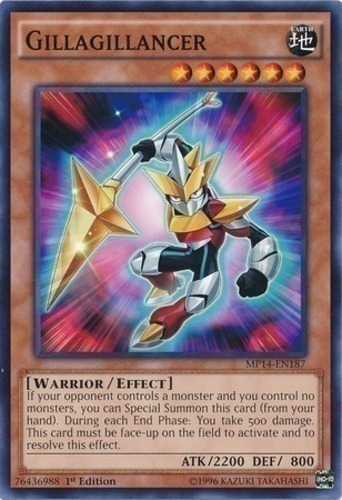 If your opponent controls a monster and you control no monsters, you can Special Summon this card (from your hand). During each End Phase: You take 500 damage. This card must be face-up on the field to activate and to resolve this effect.